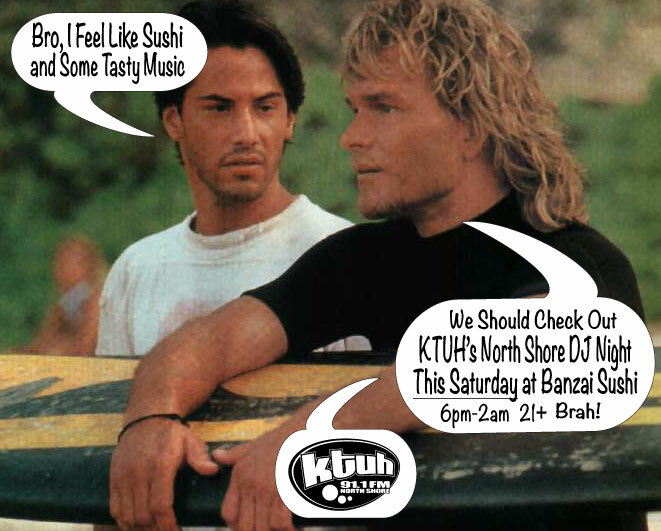 Wanderlust Sessions: KTUH North Shore DJ Night! 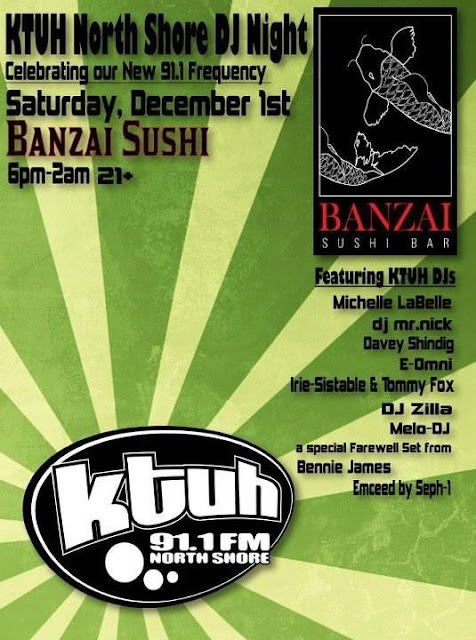 KTUH North Shore DJ Night! It's going down my darlings! This Saturday at the magical Banzai Sushi Bar! Is your message pure? Is your message strong?